Almeria City, nestling at the foothills of the Sierra de Gador mountain range, and crowned by a magnificent Moorish fortress, its shores are lapped by the cool Mediterranean waters as the sun beats down for 320 glorious days of the year. Small wonder then that many civilizations, including the Roman, Phoenicians and Moors, once called this place home; and their influences and footprints still resonate in some of the city’s customs, cultures and buildings. Sun-soaked Almeria City lies in a desirable spot on the south-eastern coast of Spain. 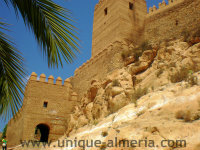 In fact Almeria’s name stems from the Arabic phrase Al-Mariyat, meaning “the mirror" or "watch tower". Today, this thriving modern metropolis offers incredible beaches, fabulous shops, beautiful historic monuments and some of the best tapas that will ever pass your lips. 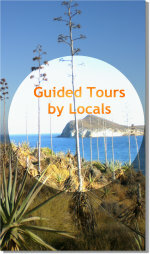 Click here or on the below image to learn more about Guided City Tours - Ask for a Special Shore Excursión! La Alcazaba is probably Europe's largest Muslim fortress. It is presumably built on an initial Tower a sort of "Ribat", from the mid ninth century as a defense from Norman attacks (from 840 to 861). Later, it was converted into a Caliphate Center under the instruction of Caliph Abd- al-Rhaman III with significant changes in the eleventh century in the Taifa era and especially by the Nasrid dynasty which ruled the Kingdom of Granada (from thirteenth to fifteenth century). From here one has a splendid view over the City and its port! 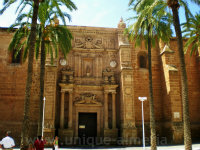 Almeria City is not short of other impressive structures such as the 16th century Cathedral of the Incarnation, which is found in the old part of the city. Built after an earthquake destroyed the first cathedral in 1522 it’s situated on the site of the great mosque and is a combination of Gothic and Renaissance styles. The fortress-like appearance was no accident as it was designed to help the city repel frequent pirate attacks. The muskets and cannonballs have long gone, and what awaits today’s visitors is a spacious and beguiling interior distinguished by a Gothic ribbed ceiling and beautifully carved choir stalls. The main altar is a baroque masterpiece, behind which is a small chapel that contains the tomb of Bishop Villalan, the founder of the cathedral. More fascinating discoveries lie in wait under your feet. 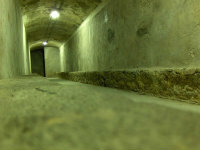 Beneath Almeria’s streets is a labyrinth of subterranean shelters that provided sanctuary during the Civil War when the city was frequently bombed. 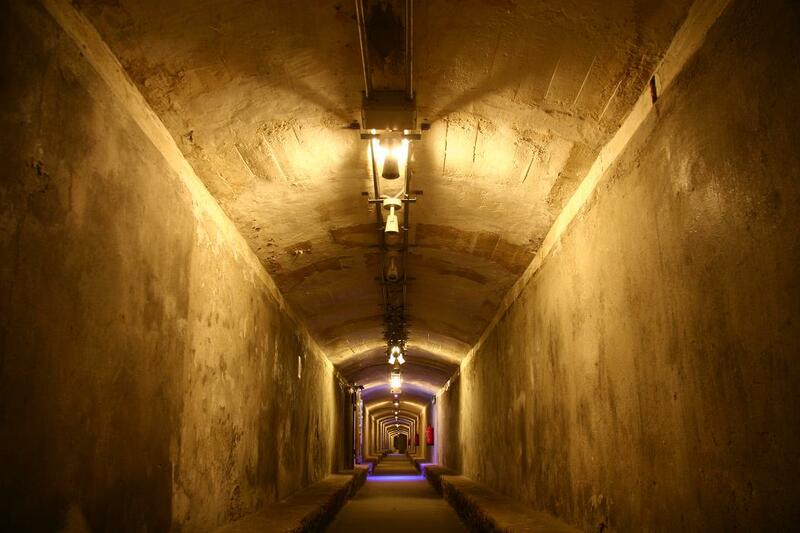 Los Refugios de la Guerra Civil (The Civil War Shelters) has reclaimed 1km of the original 4.5 km that could house up to 40,000 people. In addition to the shelters you can see food and storage facilities, operating rooms, kitchen areas, and a museum that tells the story of one of the darkest chapters in Spain’s history. Please call and make appointment! 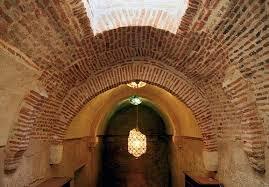 These Arab cisterns, built by Jayrán in the eleventh century, was the public water supply to the population. The water came from the "Alhadra" springs and the construction was located on the highest part of the Muslim city for easy distribution. The inside is covered by a thick layer of lime and waterproof ocher. The highlights are the barrel vaults of brick, reinforced with arches. To get for from the madding crowds Plaza Vieja is your own secret hideaway; a beautiful pedestrian square that is off most tourist radars, largely because of the restricted entrance. 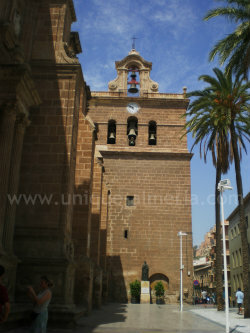 It contains the Ayuntamiento (town hall), a building with a lurid pink façade. There is also a monument ( "el colorao" ) to the citizens who opposed Fernando VII and were executed by firing squad in 1824. Almeria City is also a working port and the Ore dock is well worth a look. Called the ‘Cable Ingles’ (English Cable) it’s an eye-catching and dramatic piece of iron architecture. 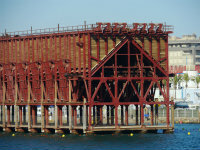 It is situated on Almadrabillas beach next to the Levante dock and is linked to the train station by a railway bridge. 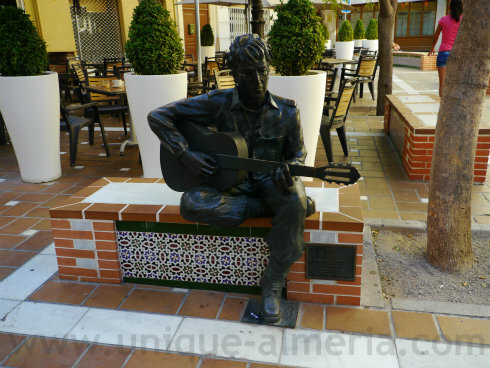 One of Almeria City ’s more curious attractions is the bronze life-size statue of John Lennon, sometimes situated in the city centre and sometimes in storage. 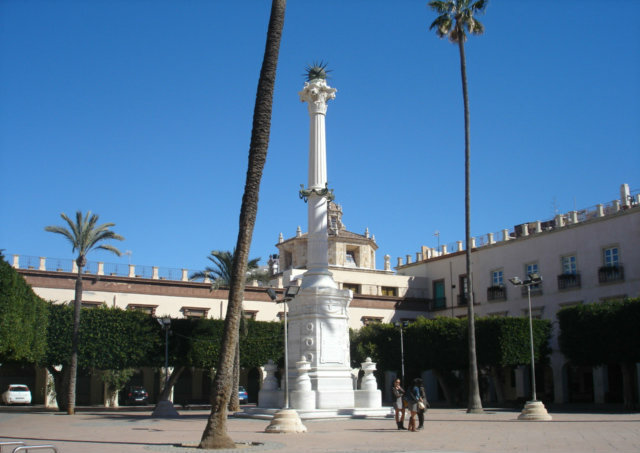 It has had to be removed and repaired on several occasions after being defaced vandals and is now located in front of the Hotel Torre Luz. The Beatles legend is honoured by the city as he composed Strawberry Fields Forever during a six-week stay in 1966 whilst filming How I Won the War. The house that he stayed in, Casa Santa Isabel is now a film museum, Casa del Cine. The 19th century mansion pays homage to Almeria’s golden movie making past as the nearby areas of Tabernas and Cabo de Gata were the backdrops to numerous films shot in the area such as The Good, the Bad, and the Ugly, A Fistful of Dollars, and Lawrence of Arabia. There are exhibits from more than 200 movies. Almeria City's School of Arts from the sixteenth century, with a beautiful courtyard, has witnessed an intensive past. The streets of Almeria city are hiding many cinematographic secrets. Some of its prestigious places have been repeatedly shown to the world on cinema screens. Many renowned directors and actors strolled around here between the city’s architectural intricacies, shooting films that have become famous classical movies. 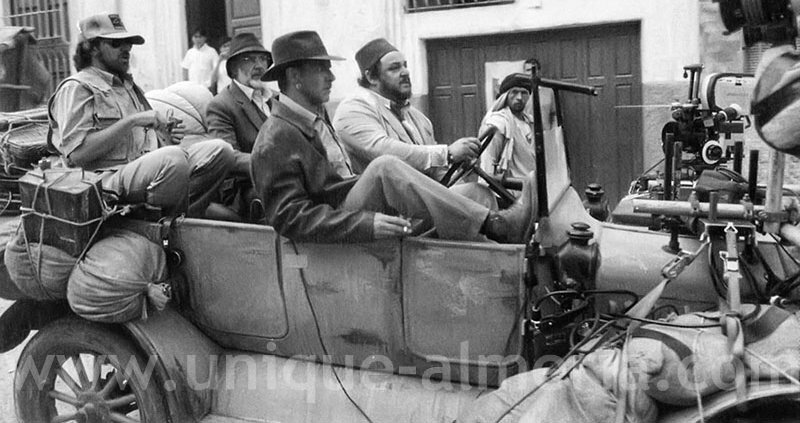 In 1940 Hollywood set its sights on the by then small town of Almeria. The Cathedral Square was filled with battle tanks in 1970 for the filming of 'Patton ' and the courtyard of the School of Arts became a well-known scenario for the film 'Indiana Jones and the Last Crusade'. Locals could see Harrison Ford and Sean Connery driving through the street "Calle Almanzor". 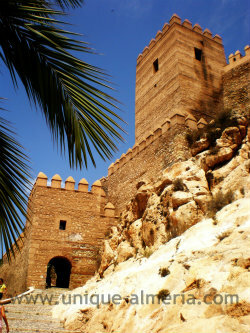 The Alcazaba, was also a desired backdrop for big Hollywood productions . On the set of ' Conan the Barbarian this Arab fortress served to record numerous sequences with actor Arnold Schwarzenegger . 'Lawrence of Arabia' was shot on the steps of street “Calle Reina” and the movie Catlow is linked to the Plaza Bendicho, while the Park “Nicolás Salmerón” welcomed Sean Connery in the film 'The Wind and the Lion'. 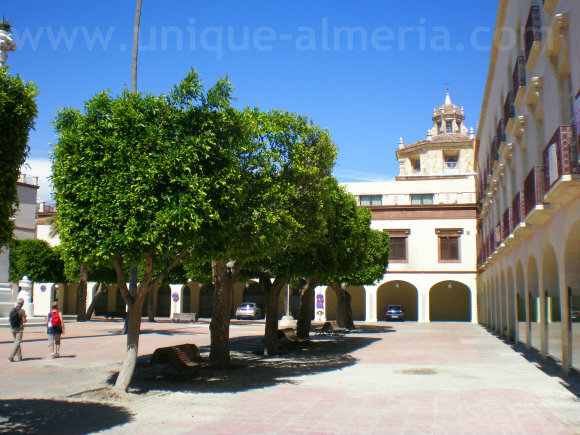 Almeria City has a variety of great places to eat and drink, and most of the best options can be found around the Puerta de Purchena, the main square in the centre of the city, and in the streets between the cathedral and the Paseo de Almeria. A wide selection of tapas dishes are on offer all over Almeria, but some of the most popular spots can be found around the fishing port area, San Sebastian Square and La Rambla. If seafood gets you licking your lips there are a number of good eateries in the old fishing quarter, the Barrio de los Pescadores. 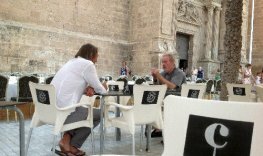 Best is to stroll around, and if you see locals queuing for Tapas, you'll know its a good place to eat! On the nightlife front, you can let your hair down at the numerous late night music bars, nightclubs and in the summer there are late night marquees on the beach. A good way to start your evening is to take a stroll through the Puerta de Purchena where hundreds of Almerienses come out to see and be seen. There’s some exquisite shopping to be had in Almeria as well. In addition to the usual department stores and their big name brands are shops selling textiles and unique handmade arts and crafts creations. The nearby town of Nijar is famous for its wide selection of inexpensive handcrafted pottery, rugs, carpets and ceramics. And let’s not forget that Almeria is in the sunniest region of Spain and nearby there are beaches aplenty to soak up a few rays and plunge into the sea. The beaches of the Cabo de Gata-Nijar Natural Park are amongst the best and most varied in Spain, but don’t overlook some of the city’s fabulous stretches of coastline. I have cherry-picked some Hotels from 4star to 2star (there is no 5star Hotel in Almeria capital). However, there is a wonderful Boutique Hotel: The Plaza Vieja, chosen by some of Ridley Scott's Actors during the recent shooting of the movie "Exodus", while the director himself was spotted dining in the Hotel Catedral ... - If you are looking for a nice budget Hotel, then the Perla would be a wonderful option! Highly recommended! "La Encina" consists in both, a Haute cuisine Restaurant and a Tapas Tavern. 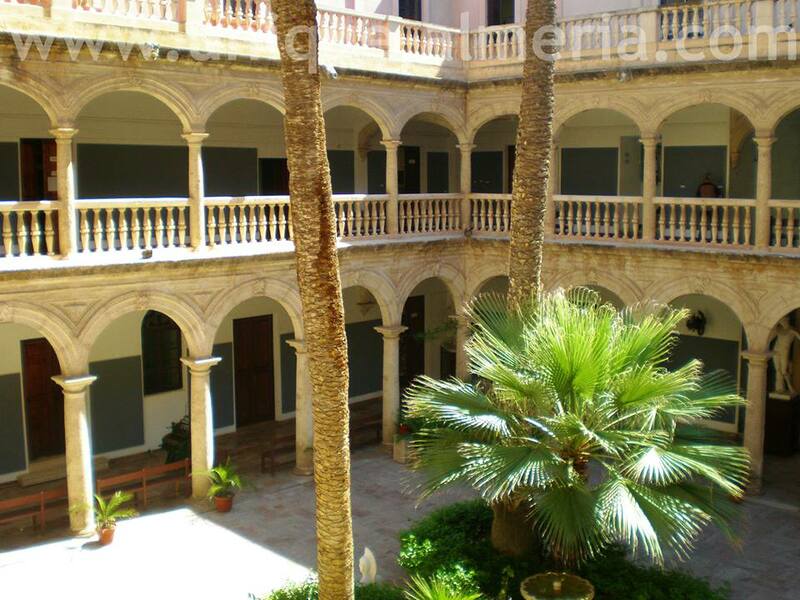 Located at only 20m from the Town Hall Square "Plaza Vieja". It is also a place where you may see famous faces from time to time. 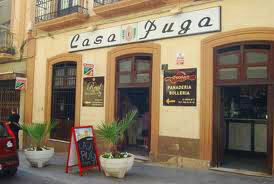 The oldest and most famous Tapas Bar in Almería City. Its interior and exterior seems to be trapped in time. This typical tapas bar is a veteran where variety, quality and culinary traditions have been passed from generation to generation since 1870 up to the present. Famous for its fresh Tapas and fish from the Bay of Almeria. The Tapas menu includes a long list of both, cooked and grilled fish and seafood as well as a complete section devoted to Entremare's specialties of octopus. A place, where you will easily spot international and national famous faces!